About Ana G. Message Ana G.
Ana was terrific and the day we spent with her full of interesting sights and activities. Our group ranged in age from late 20's to 50's to 70 and Anna reached us all with her knowledge of history (Roman, especially), perfect level of activity (truffle hunting in the morning to a lingering lunch to the Roman arena in Pula) and unerring suggestions for further touring and eating. Everyone in our family of 7 agreed the day was very well spent and memorable. Thank you Ana! TOUR GUIDE RESPONSE: Dear Joan, thank you for reviewing custom made tour. Really we passed that day through green countryside toward blue coastline. I enjoyed travel with you...and talked to you as locals do. Love you all. You local guide Ana. Ana was extremely well-informed and pleasant. We spent an entire day with her that was very interesting as we explored Pula. Even though it was not officially part of our trip, she arranged for us to go to a local cheese manufacturer where we had a terrific lesson about the different types of local cheeses along with a glass of wine. Thanks Ana! Ana was terrific! Her English was good and her knowledge of the area was exceptional. She took us to a wonderful place where they make cheese and we had a delicious wine and cheese tasting. Very fun and thanks Ana! TOUR GUIDE RESPONSE: Dear Mark, thank you for your review. It was a pleasure to meet you. Meet the locals is something that I will always recommend to all of my clients and partners. Just like we done. 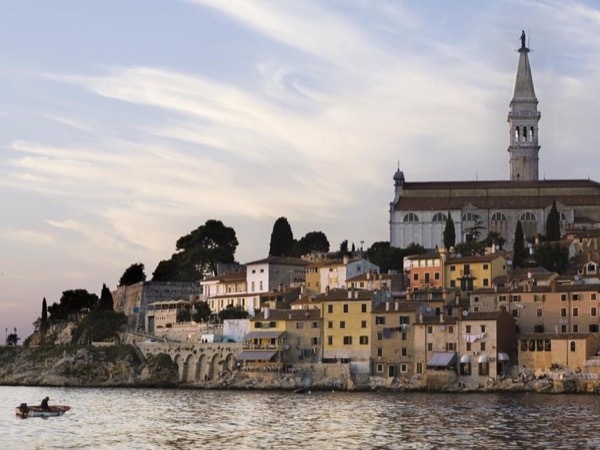 We escaped from hustle and bustle of coastline toward evergreen heart of Istra. And that's something everyone likes. Thanks.